As a child, the magic of Santa landing on the rooftop, sliding down the chimney, eating cookies, and delivering presents is unparalleled. It's a wonderful tradition but as a parent, how do you balance that magic and all those presents, while keeping your kids grounded at the same time? The tradition of writing to Santa Claus with all of your gift requests is one that we enjoy but with a slight modification. 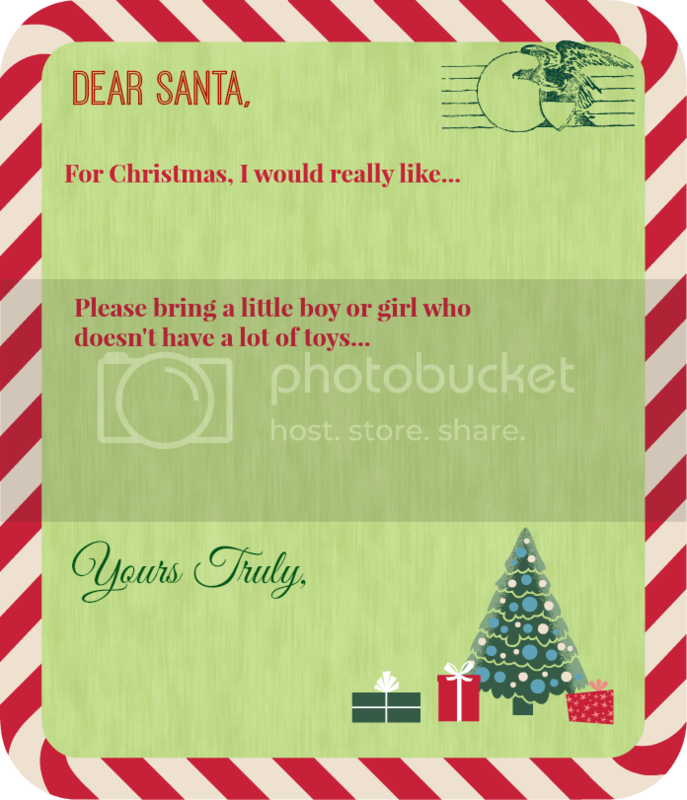 We created a FREE printable that you can download and use at home. 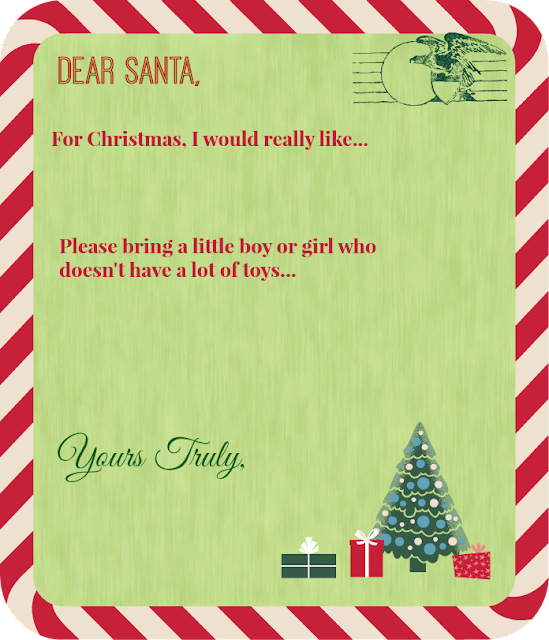 Instead of just writing what your child would like, ask them to write what they would like Santa to give a boy or girl who doesn't have many toys. It's a great opportunity to discuss how fortunate you are, and how there are others who are less fortunate this season. And it's a good reminder (we hope) that Christmas is not just about giving gifts. You can also write letters on our Imprintable Letterhead Papers, available for sale at More Than Paper. Write letters, design or buy cards to send to the men and women serving our country in Holiday Mail for Heros. Donate Pajamas to The Pajama Program which donates books and pjs to kids in need. Many of the children are abused or neglected and have never or rarely experienced their mothers/fathers tucking them in bed at night, with warm pjs and a good book. Invite an elderly neighbor or someone who lives alone to join your holiday celebration. Deliver a meal to a family in need. Donate clothes and food to a local shelter or charity. Donate unused airline miles to help travel dreams become a reality for families who can't afford to fly. Visit Wishes in Flight for more info! There are so many wonderful charities out there. We hope that with all the gifts you get this year, you will think about giving back a little bit more!